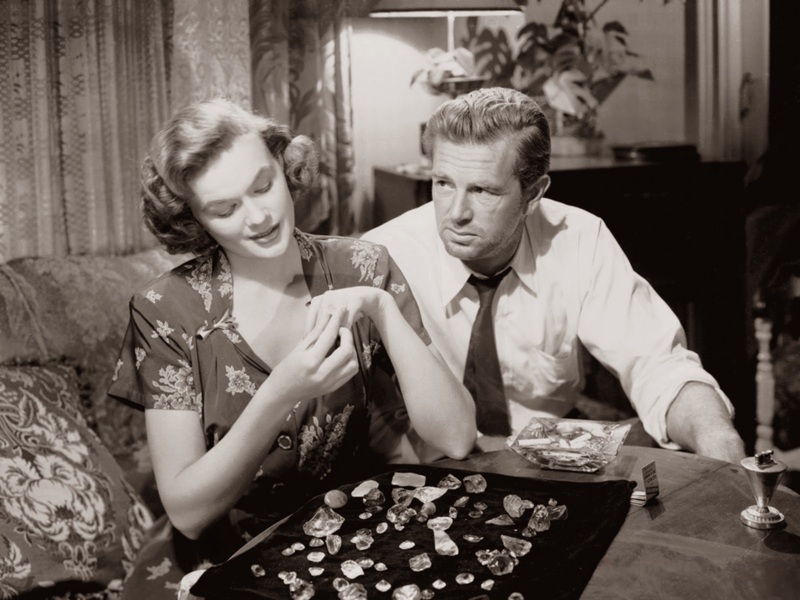 A gritty crime drama, The Asphalt Jungle is a brilliant story of greed and deception among a group of desperate men. Director John Huston elicits sympathy for deeply-flawed criminals, and finds the subtle shades of grey that separate the bad from the evil. Scholarly criminal mastermind "Doc" Erwin Riedenschneider (Sam Jaffe) is released from prison, and immediately sets about meticulously planning a daring heist, which involves breaking into a jewelry store through a sewer tunnel wall. Doc approaches small-time criminal financier Cobby (Marc Lawrence), who in turn brings into the plot respected lawyer Alonzo Emmerich (Louis Calhern) to help provide financing and fencing services. Doc hires Louie (Anthony Caruso) as the safecracker, Gus (James Whitmore), the owner of a local diner, as the getaway driver, and Gus' friend Dix (Sterling Hayden) as the muscle. Dix is a down-on-his-luck dreamer with a gambling addiction, although he is trying to reassemble his life with the help of somewhat girlfriend Doll (Jean Hagen). Unbeknown to the others, Emmerich is actually in deep financial trouble. He is living beyond his means, partly because he maintains an apartment for his expensive mistress Angela (Marilyn Monroe). With the help of private detective Bob Brannom (Brad Dexter), Emmerich plots to double-cross the others and keep the jewels for himself. The robbery is mostly successful, although one of the men is accidentally shot and the police are in pursuit sooner than expected. When Doc and Dix meet with Emmerich to give him the jewels and collect their money, they realize that Emmerich and Brannom have other plans, and the band of thieves turn on each other. With Police Commissioner Hardy (John McIntire) on their tail, imperfect execution and Emmerich's deceit turn a slick plan into a debacle. 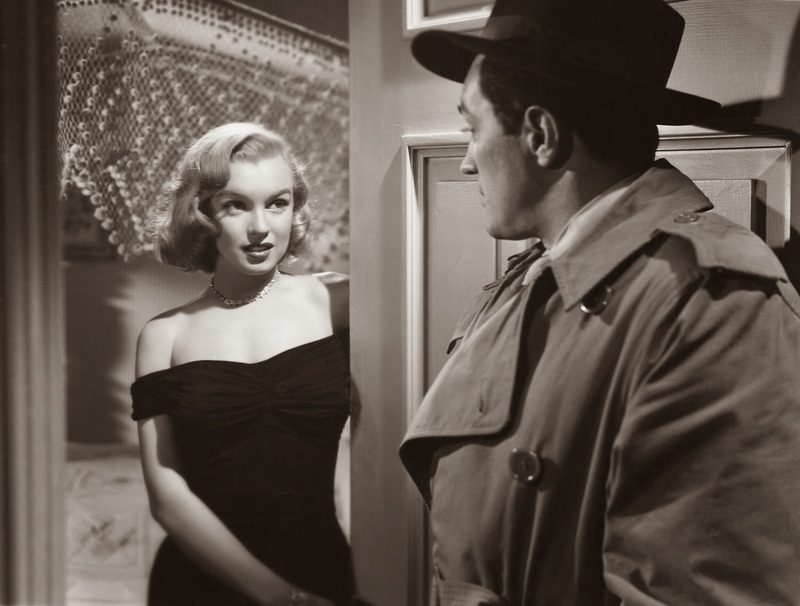 Grim and unforgiving, The Asphalt Jungle is a hard-hitting criminals' view of the world. Working from a script that he co-wrote with Ben Maddow (an adaptation of the W.R. Burnett novel), Huston delves in the grimy world where gangsters have to cooperate with each other and guard against each other in a perpetual dance of mistrust. Huston places Doc, Dix and Emmerich and Cobby in the middle of the story, and unapologetically makes them real people striving to score big. Cobby is trying to keep his money-lending business afloat despite the unwelcome attention of corrupt cop Ditrich (Barry Kelley) and customers like Dix who don't pay back their debts. Dix's family was victimized by the Great Depression, and he dreams of making enough money to buy back the horse farm that his dad had to sell. But his uncontrollable appetite for betting on horses means that he is unlikely to ever get close to fulfilling his fantasy. Doc and Emmerich are both elder statesmen of the underworld, but polar opposites. Doc takes pride in his work, is smart, careful and thoughtful, and within the context of the crime world, exceedingly open and honest. Emmerich is deceitful and greedy, a man who has over-stretched his resources to buy the company of women like Angela. Emmerich seemingly has everything that Doc, Dix and Cobby strive for, and yet is in the most amount of trouble. The absence of any stars in the cast allows each of the four to step forward and reveal their personalities and flaws. Jaffe, Lawrence, Calhern and Hayden exude strained confidence undermined by a deep well of apprehension, contributing to the sense of impending doom that electrifies the film. The jungle is the domain of male survivors, and the two women in the cast are used primarily to sharpen the definition of Dix and Emmerich. Jean Hagen's Doll is a sounding board for Dix, providing a sympathetic ear as he outlines a future that could revive his past. Marilyn Monroe, in her first major movie role as Angela, goes a long way towards justifying Emmerich's excessive spending habits. 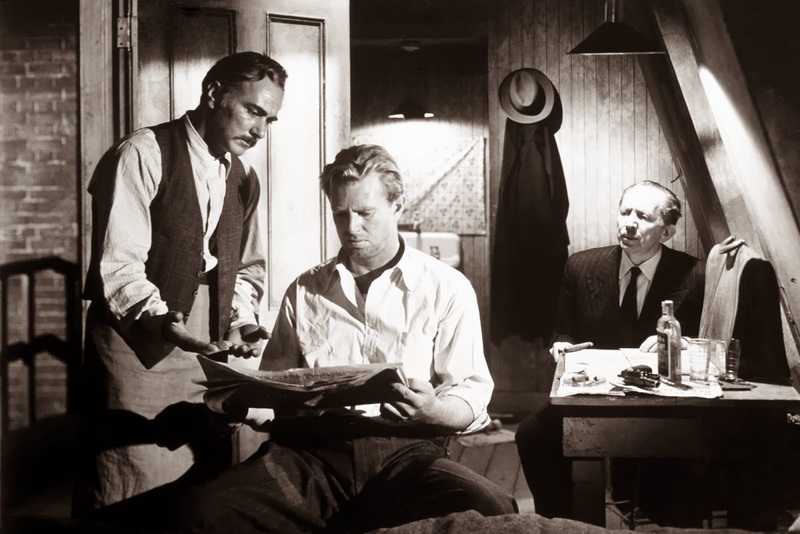 Stylistically The Asphalt Jungle is awash in worry, Huston's black and white images filled with harsh contrasts as the men contemplate futures that are either much better or significantly worse than the present. Huston's cameras are restless, always shifting towards edgy angles as in less than two hours the characters are introduced, the heist planned, the crime committed and the aftermath spirals towards disaster. And in The Asphalt Jungle, there are no soft landing spots.